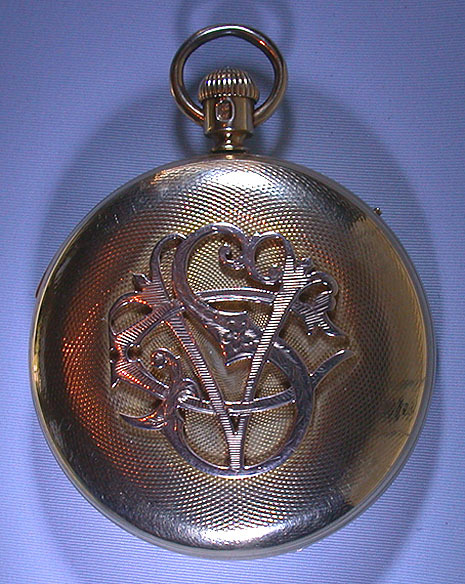 Fine and scarce Dent 18K gold minute repeater antique pocket watch circa 1867. 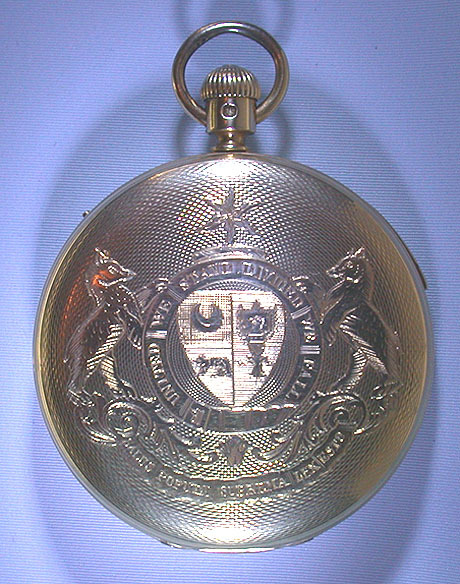 Heavy engine turned case with coat of arms on one side and applied gold monogram on the other. 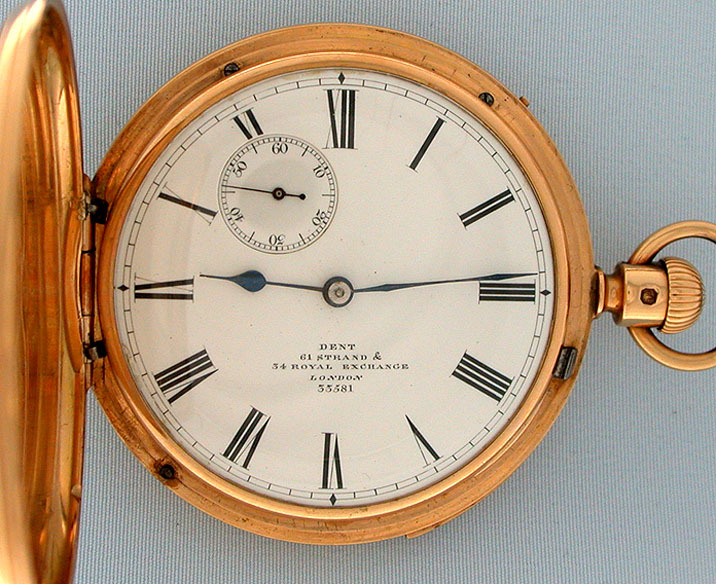 White enamel dial with eccentric seconds indication, black numerals,and blued steel hands. 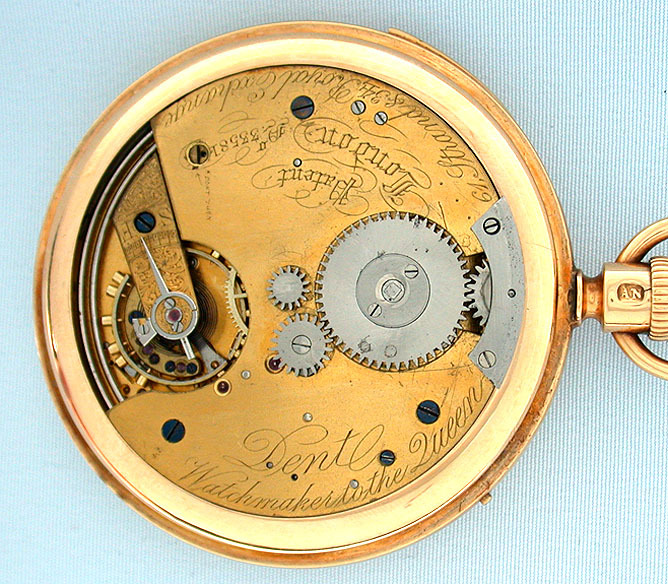 Gilt 3/4 plate 19 jewel movement (some light scratches and a watchmaker's tiny note) with Priest's keyless winding. 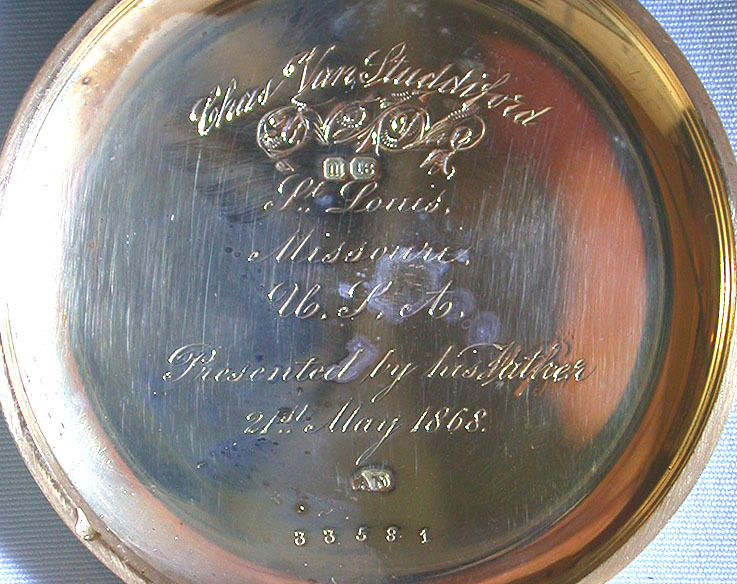 When activated, this watch chimes the exact time using different loud and clear chime tones to designate the hours, quarter hours, and minutes. Dent, a famous and venerable English firm, was founded in 1814. 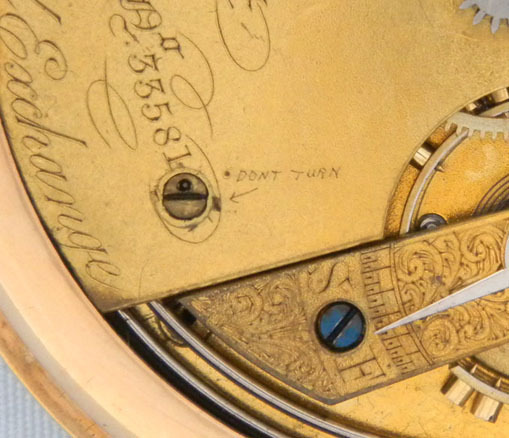 They were watchmakers to the Queen and other royalty around the world, provided chronometers for Charles Darwin and David Livingstone, also were also the makers of Big Ben.